Our Near the Beach vacation rentals are just that — located within 1 or 2 blocks of the white sand beach. Options for easy beach access vacation rentals are yours with A Paradise Rentals. 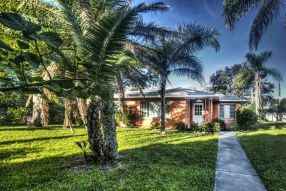 If you’re searching for an ideal vacation destination where you can book near the beach vacation rentals and enjoy ocean activities like swimming, fishing, kayaking, boating and much more at your disposal, you’ll find plenty of options to choose from on Anna Maria Island. 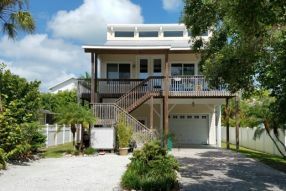 All of these incredible vacation rentals options offer top locations right by the world-renowned white sand beaches of this scenic barrier island. At these vacation rentals near the beach, you’ll be able to make the quick 1 or 2 block walk to the ocean anytime you wish. Head out to the beaches of Anna Maria Island in the morning for a quick walk or jog, and enjoy them when they are the least crowded. You also won’t ever have to deal with the hassles of beach parking, which will save you hours of time and a lot of headaches. 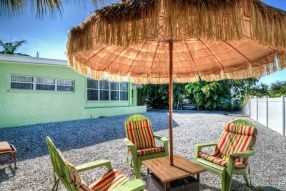 The amenities included with these near the beach vacation rentals are impressive, and standard options include: fully stocked kitchens, living rooms, bathrooms, laundry rooms, large bedrooms, televisions, internet access and more. Additional features vary from one unit to another, and you can rest assured that all of these beautiful homes are located right by the beach for your convenience. Call us today to book one of these limited availability rentals! Anna Maria Island’s beaches draw thousands of visitors each month from around the world with their amazing white sand, calm and clear waters, and gorgeous sunsets. Don’t deal with the troubles of having to find parking spots or staying in crammed hotel rooms when you can book a spacious vacation rental right near these popular beaches and easily visit them anytime your heart desires. You can view more about the specific features offered in these rentals by clicking “More Details” and please call us at (800) 237-2252 to book any of them that interest you!